Loving the outdoors, wanting to put some food on the table and maybe spending some quality time with friends. These are just some of the reasons people get started with bird hunting. Upland birds are game birds that including quail, pheasant, grouse, woodcock, prairie chicken or partridge. For first time bird hunters, getting started is as easy as finding a local class covering hunting safety and regulations. Many states, Siler said, require successful completion of a hunter safety course before issuing a hunting license. The laws and seasons associated with upland bird hunting vary state to state. Always check with your state’s fish and game commission to know the latest in laws and what is in season. “Typically this is a one-day class taught by volunteers [and] is equivalent to the drivers ed course you took in high school,” Siler wrote in a recent column. “Even if you’re already familiar with firearms and the outdoors, hunter’s ed is a fantastic refresher in all the nitty-gritty details of remaining legal and safe in the field. In some states, the course is required to obtain a hunting licence, but even where it’s not mandatory it’s recommended to take one. The course will also answer a number of beginner questions including what are the best types of guns to use and what kind of ammunition works best for specific game birds. Hunter education course certificate and hunting license in hand, it’s time to get out into the field. Unlike guided big game hunts for animals like deer, bear, moose or elk which Silas said can cost in the thousands of dollars, a guided bird hunt will usually run around $100. What equipment and gear do I need to get started with bird hunting? As for what to bring on the first hunts? Siler, who’s been hunting since he was a young boy, recommends the basics — a shotgun, ammunition and patience. “If the weather is good, all you need to wear are jeans, a t-shirt and tennis shoes,” he said. Silas is a fan of the 12-gauge shotgun for bird hunting that has been outfitted with a “choke-tube.” A choke tube is a tapered attachment for the front of a shotgun barrel, it can be set to shoot the shot from a shell in a narrow to wide, scattered path. By mixing and matching the type of shot used in individuals shells and the set-path for that shot Siler said you can custom-configure the shotgun to specific birds and terrain, making it a very versatile weapon. 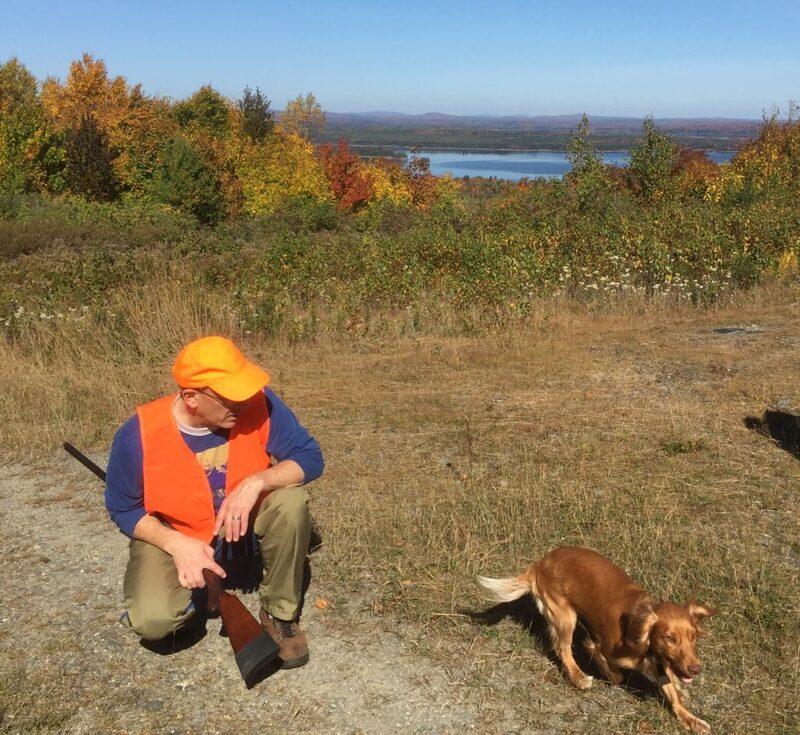 John Holyoke, longtime Maine outdoorsman, staff writer and writer of the outdoors column Out There for The Bangor Daily News,and Julie Harris, fellow columnist at the Bangor Daily News with It’s a Bird Dog’s Life, both hunt with .20-gauge shotguns. They recommend wearing at least a blaze orange hat or vest so you are visible in the woods. Siler agrees wearing either a hat or vest that has blaze orange on it, making you visible to other hunters who are in your group or in the area, is a very good idea. Harris likes to also wear a vest with pockets into which she can place a whistle, ammunition, a compass and anything else she may need for a day in the woods. Vests can also have a larger pocket in the back to place dressed out birds from a successful hunt. If bird hunting is the best entry point to hunting, as far as Siler is concerned, grouse are the gateway birds. To successfully start hunting upland birds, you first need to find them. And once you understand bird habitat, you are well on your way to spotting the game. According to Holyoke, successful bird hunters know that upland birds prefer to hang around in good cover made up of scrubby brush and new growth associated with old pastures that are going back to trees. When a cover area grows up to the point it no longer meets the needs of the birds, Holyoke said the birds move on to a new spot, so where birds congregate changes over time. Walking through forestland that has been cut within five or so years, or on old pasture is a good way to come across bird cover and the birds themselves. Because the birds will likely see you before you spot them, they may not freeze in place. They may attempt to quickly fly away, meaning you have “flushed” it from the cover. Some hunters, Holyoke said, will only shoot at a bird if it is flying, or “on the wing.” Other hunters, he said, will fire at a bird that is walking or just sitting on the ground. The single best piece of equipment a bird hunter can have is a good dog, Siler said. For someone starting out, that is often not possible given the time and expense associated with obtaining and training a good bird dog. 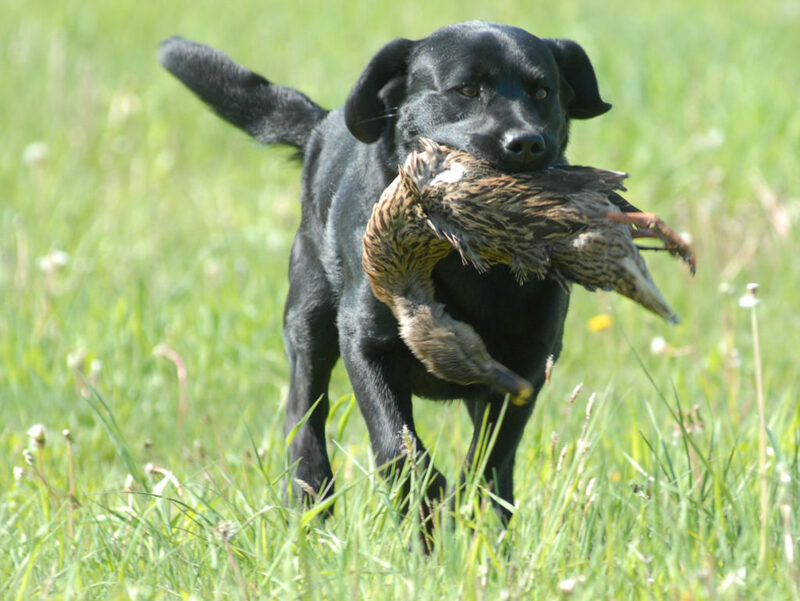 Some bird hunters hunt with dogs, who can help locate birds, flush them out and retrieve them. But not all dogs do the same work. There are “flushing dogs” like the cocker spaniel Holyoke uses, who flush the birds out of cover and into the open. Then there are the “pointing dogs” like the Brittney Spaniels used by Harris. Her dogs sneak up on the birds, stand still and use their nose and one leg to point out the hidden bird. Harris said the first step in deciding what kind of dog you want along on a hunt is deciding what you want that dog to do. Then she said it really comes down to breed preference, Harris said. Though she did add the smaller dogs like the Cocker Spaniels tend to make better indoor pets for those who want their hunting dogs to be part of the family inside and out. Maybe the best part of bird hunting, after the thrill of the hunt itself, is feasting on the day’s bounty, Siler said. As far as dressing out those birds — cleaning them after they are shot — Holyoke recommends turning to the internet and checking out the myriad of online videos devoted to that subject. Then, it’s time to get cooking. In Maine, Holyoke said, it’s common to simply saute the breast of a grouse or woodcock in butter with a bit of garlic. Others like to parboil and cook the breast meat in a batch of baked beans. Soups and stews are also popular. Regardless of cooking methods, newcomers to hunting and eating game birds will notice a difference in flavor. Siler recommends checking the internet for recipes on cooking wild birds. Over the years, Siler has filled coolers with cheap champagne and brined the birds in it overnight, smoked entire birds, deep fried whole birds in peanut oil and roasted breasts. He’s even prepared a pheasant-au-vin.